The ombre hair has been around for seasons now but never losing its magnetism. Celebrities and fashionistas alike have been sporting its many avatars. 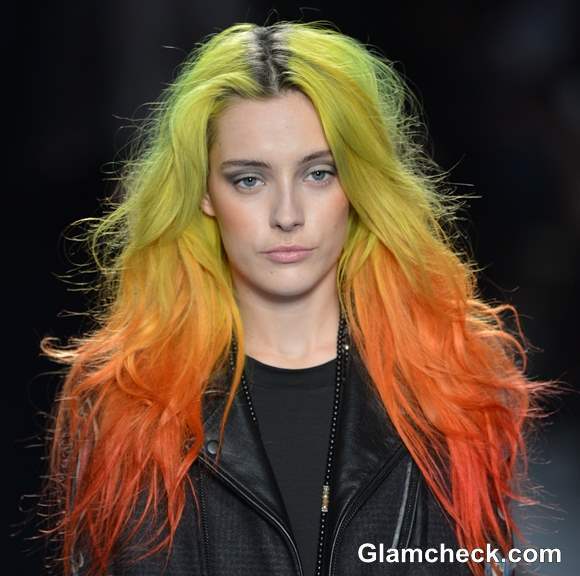 Be it the ‘bright dip dyed ends’ version or ‘dark to blonde’ version, the trend has proved its mettle. But the fall runways in New York, this season, witnessed a bolder take as Nicole Miller sent a model in a memorable ‘colors of the sun’ ombre. 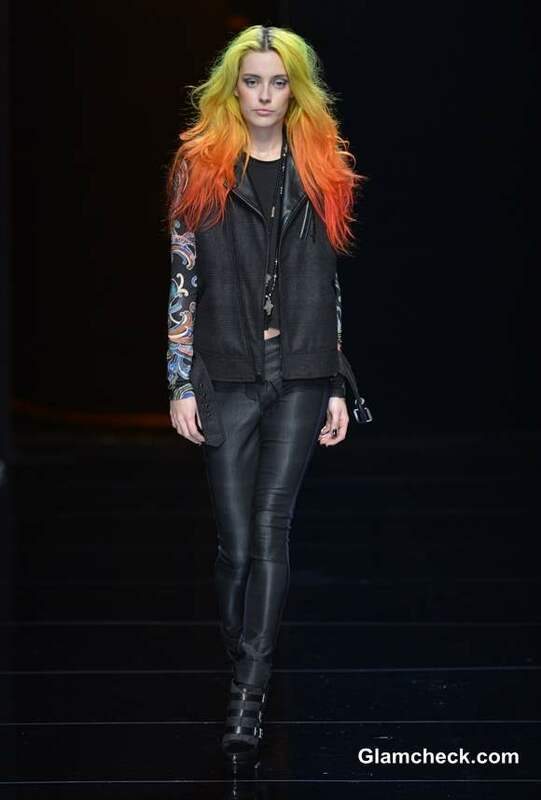 The yellow and orange ombre with dark roots was paired with black pieces from the Fall Winter 2013 collection and a full tattooed sleeve. The color choices were nothing short of brilliant. The shades were as seamless as they could be and roots are dark make it comparatively low maintenance as when the roots grow out in their natural color, the look will support it. The boldness and fiery nature of this ombre set it apart from anything else seen before. Most of all it flattered the skin tone and looked rebellious-chic. It felt like just the right way to introduce color into your everyday dressing without compromising on your monochrome wardrobe. Is the trend for you? Now that you have established that you love this look, the next big question is – is the trend for you? It would really depend on a lot of factors. First notice your personal style and if it is bold and rebellious enough or not. Secondly notice your occupation. If you have a high collar corporate job, you would less than welcome with this trend in your workplace. If you are in a creative field however, or even in college you just might want to give this shot. 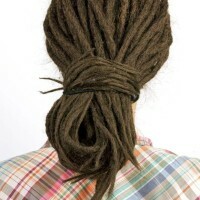 Thirdly, remember to consult your hair stylist. This look can definitely be toned down for your needs to look fiery but closer to natural. And the hue selection would be deeply affected by your skin tone. So bottom line, go to your salon and schedule a consultation. Once you have this fiery ombre, the makeup choices become important. Take a cue from the styling of the model herself. The look on the face is more neutral and natural. The lips are well moisturized but a sport a very natural pink hue. The eyes have a slight hint of mascara on the upper eye lashes. The eye lids are defined in grey and silver used in moderation. The eyes do not look heavy and ‘cakey’ at all. So the lesson here is to keep your makeup spectrum more towards neutral and warm. The level of contrast of your makeup should be relevant with your ombre. How to take care of your ombre? The final piece of information that is extremely crucial to this look. 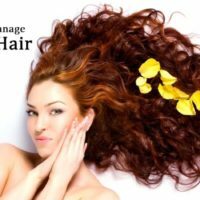 Since most of us in this part of the world have naturally dark hair, the hair will be bleached before any sort of color can be applied on your tresses. The chemicals are obviously harsh, but ask for the best quality products to be used on you while dyeing and also take care afterwards. Only wash with specially formulated shampoos meant for colored hair. After each wash, use your specialized conditioner to restore some moisture. If you blow dry your hair or curl or straight them, the heat treatment can damage them and hence a heat protective spray is advisable. Also consider a protective serum to be applied on your hair after drying. This will keep the sheen, repair your tresses and also protect your hair from the harsh environment. 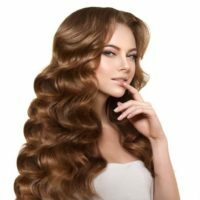 All these tips and advice might sound like a lot of work, but it is nothing compared to the beauty of this look. All good things do come for a price; but for this gorgeous ombre that completely sets you apart from the crowd and brings you into the good books of fashion, all the considerations are a small price to pay.